An armed robbery offender is in custody, arrested Thursday afternoon as he tried to escape via the Belmont Red Line station, according to Chicago police. A handgun was recovered during his arrest, police said. 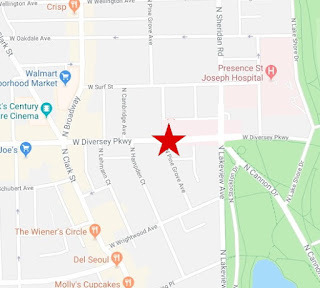 Just before 3 p.m., a woman told police that an armed man approached her in the 3100 block of North Kenmore and demanded her phone at gunpoint. The woman did not turn over her phone, police said, but the man did get the victim’s debit card. Responding officers searched the Belmont Red Line station and found a man matching the suspect’s description on a southbound train. “As the doors closed, one of the officers literally pulled open the doors. They reached in and they pulled the offender out," 19th District (Town Hall) Cmdr. Marc Buslik said at a press conference this evening. Buslik said police found a handgun in the man’s possession. 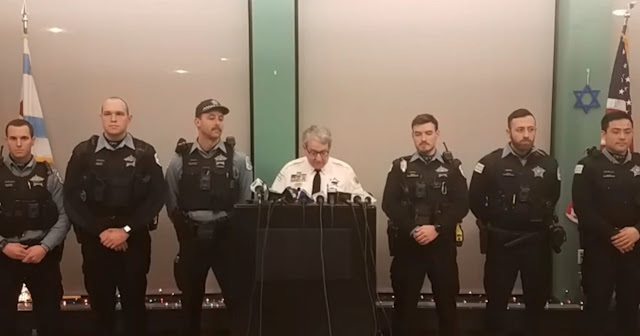 A group of Town Hall police officers happened to be working near the Belmont Red Line on a mission to suppress thefts from automobiles, according to Buslik. The team broke from that assignment to handle the robbery when the call was dispatched. CWBChicago will publish an update when charges are approved in this case. No one is in custody after the early morning armed robbery of a 7-Eleven store along the Lincoln Park - Lakeview border. Police said two men wearing face masks entered the store at 2757 North Pine Grove around 12:10 a.m. on Thursday and both displayed silver handguns while announcing a robbery. The men left the area in a maroon vehicle that was driven by a third person.